Your experience starts with a relaxing, floral foot soak using a custom made blend which cleanses and exfoliates.This is followed by a warm milk foot soak to hydrate. Experience the deep relaxation through our Ayurvedic foot and leg massage followed by a hydrating mask. The result is relaxed, de-stressed, happy feet. 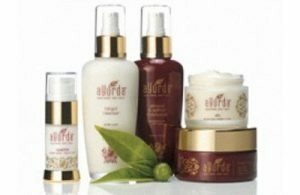 Yes, we are an Ayurda Skin Care stockist!